Our parent company, Vibratech TVD, specializes in torsional viscous damper design and development for the engines that power our global economy. 25 years since the beginning of production, the classic 7.3L Power Stroke is no stranger to current diesel owners. 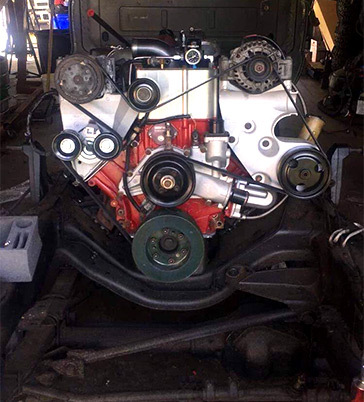 Coming off the production line with 210-275-horsepower, direct injection, and a new hydraulic electronic unit injection system (HEUI), this engine was built for the long haul. So what motivates owners to keep this classic running? Diesel Army digs into the high volume of sales of Fluidampr dampers and the undeniable attachment the diesel world has to this conventional powerhouse. Whether they’re being daily driven, lighting up win lights, or turning up dirt pulling a sled, these engines have endless power capabilities. 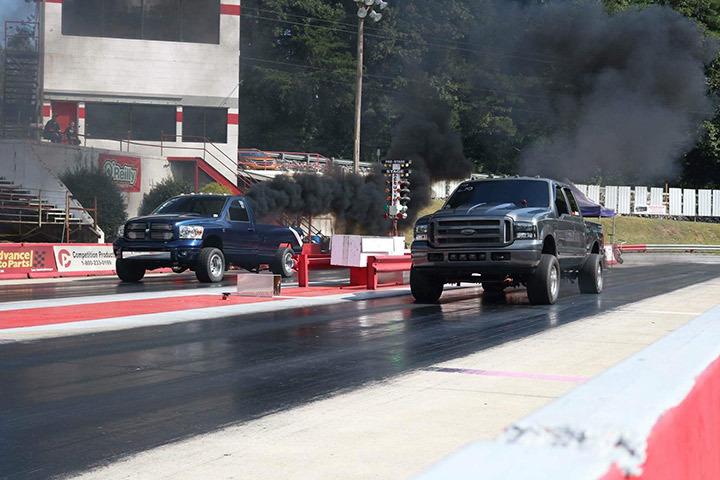 Just ask Bryan Patrick of Injected Diesel Performance, LLC, with his 2002, F-250. Proving the naysayers wrong that “7.3’s can’t make power”, Patrick has pushed the envelope with his 1250-horsepower, fastest crew cab 7.3 in the nation. With a time of 6.55 @ 106mph in the 1/8th mile, Patrick relies on a Fluidampr damper to keep his engine vibration at bay. While compiling your list of upgrades for your next build, did a Fluidampr make the list? Harmonic balancers are arguably one of the most important, yet overlooked, components of any engine build. Every time you increase the torque output of your engine, you’re risking damage due to the greater harmonics. Performance modifications cause a change to the rotating assembly, which in turn compromise the stock damper. Components such as upgraded rods or swapping to oversized pistons will leave you outside the range that damper is tuned for. When upgrading your stock balancer to a performance unit, you’re actually helping your engine do its job and keeping it running smoothly. Now that we’ve explained what Fluidampr means to their customers, we’ve talked with Brian LeBarron, Marketing Coordinator for Fluidampr, to get the companies take on how they value their 7.3 customers. “7.3 owners really push their trucks hard. They know how to build power and make them last. We appreciate that they understand and value running a quality performance damper,” Lebarron explained. “The numbers back it up, too. Due to the popularity of the 7.3-liter engine, it has been our top-selling Ford performance diesel damper for the past three years.” Fluidampr offers two different dampers for these engines. One for 1994-1997 and one for 1999-2003. These can easily be found on their website. When it comes to value, Fluidampr has deep roots in the diesel industry. Parent company Vibratech TVD supplies leading commercial and industrial heavy-duty diesel OEMs. Plus, the United States military. Some of the innovation that makes Vibratech TVD heavy duty viscous dampers work so well in high power extreme environments finds its way into Fluidampr Performance Diesel dampers and vice-versa. LeBarron was proud to state their products are “made in the USA”, and they are the Official Damper of the Ultimate Callout Challenge. Head on over to the Ultimate Callout Challenge website for dates and times, and be sure to check out the Fluidampr products being put to the test! for Gas & Diesel Engines.